Nikita has recently joined the AHT team in 2015 and is currently studying her Certificate IV in Veterinary Nursing. 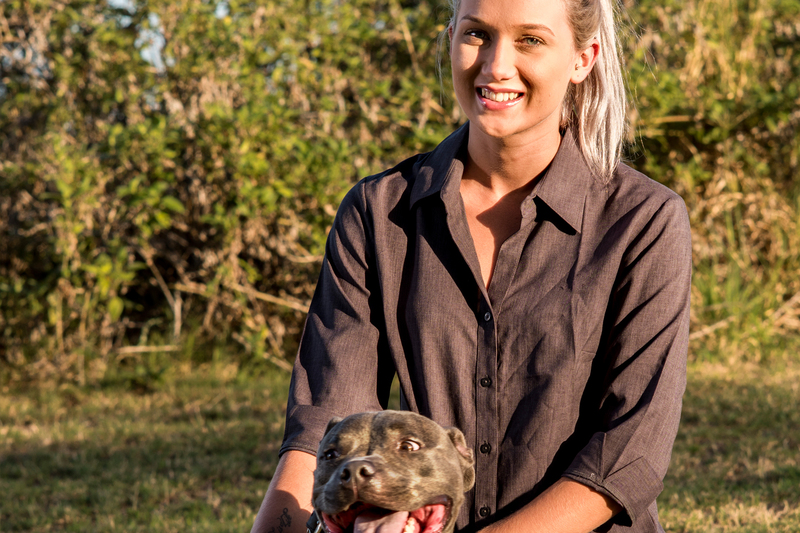 Nikita loves everything about Staffy’s and loves spending her spare time with her Blue English Staffy named Billy, taking him for runs and the beach. She loves to see hospital patients progress back to their full health and be discharged home with their loving owners. You will regularly see Nikita on reception at Thornlands and helping the girls out the back.